By Fahad Khan in Mobile. Updated on December 7, 2018 . The holidays are coming and you know what this means — everyone who came home is helping to hog the home Wi-Fi. It is also the time of the year when we are treated with plenty of online content which can zap your data plan faster than you can say "What’s for dinner?". Despite the availability of 3G and 4G cellular communication technologies which allow us to have access to the Internet wherever we are, it doesn’t hurt to get a bit of a boost when it comes to getting a faster Internet connection. Here are 8 Android apps that can help boost speeds to tolerable levels, and help you survive the long holiday gatherings. Note that some of them only work with rooted devices. 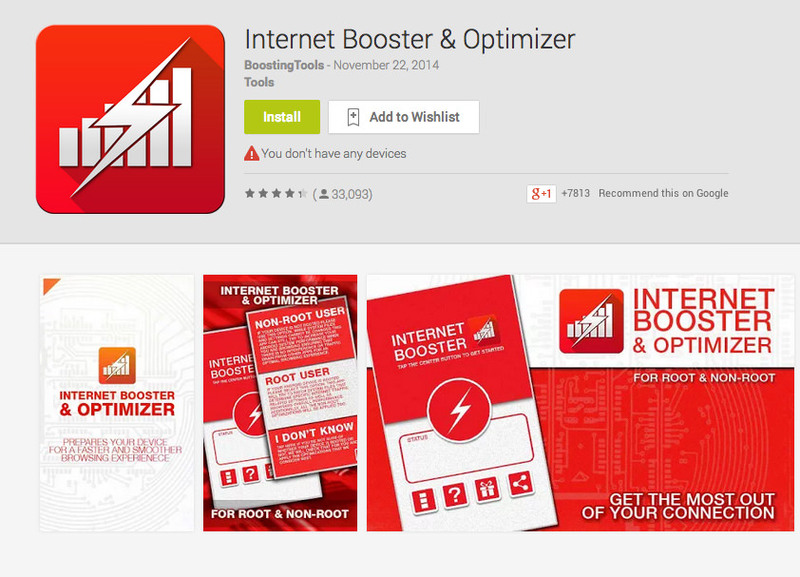 Internet Booster & Optimizer is an Android app thatcomes with a series of commands that prioritizes the browser among the other applications that are using the Internet. This means that one can dig out more speed from the available Internet connection. It usuallypauses the secondary apps that are using Internet, cleans RAM & cache memory and flushes the DNS to make sure that most of the Internet speed is utilized by browser only. 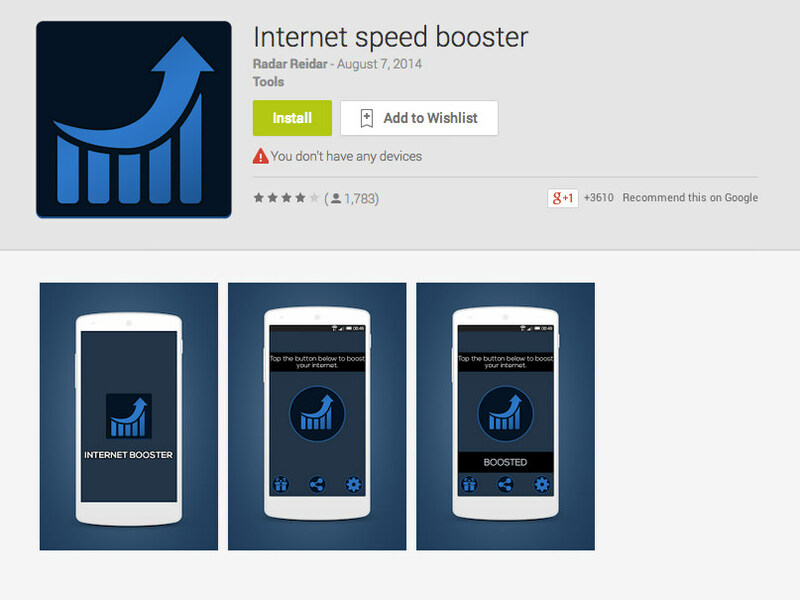 Internet Speed Booster isan easy-to-use app with a sleek and minimal design. It uses a unique algorithm that can increase the Internet Speed of your Android device with a single tap of your finger. Internet Speed Booster app is designed in a way that has it working impeccably with rooted as well as non-rooted Android devices. 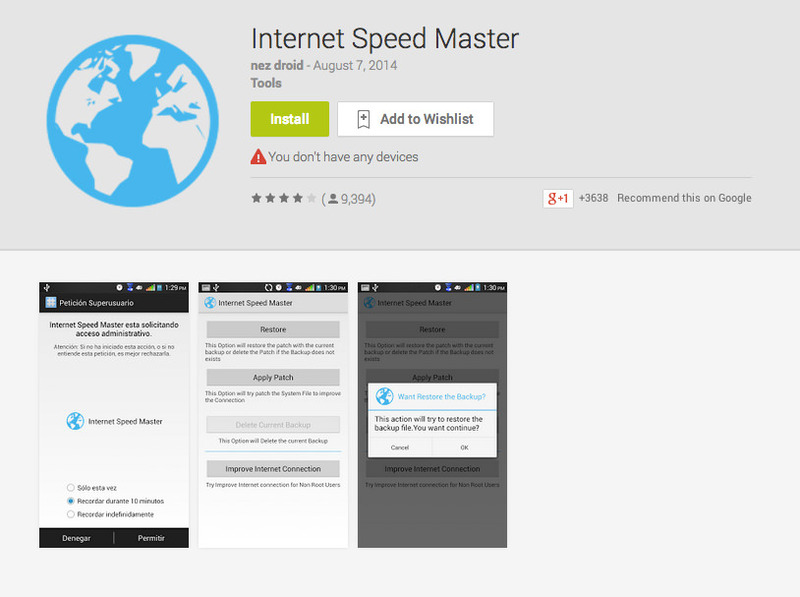 Internet Speed Master is a nice app with around 1 million installs from around the globe. The app adjusts the TCP/IP settings by modifying the system files to improve the Internet speed of one’s Android device. It is advised to make a backup of your device’s content before trying this app. It is designed for almost all types of ROM and can be used for all Android devices.